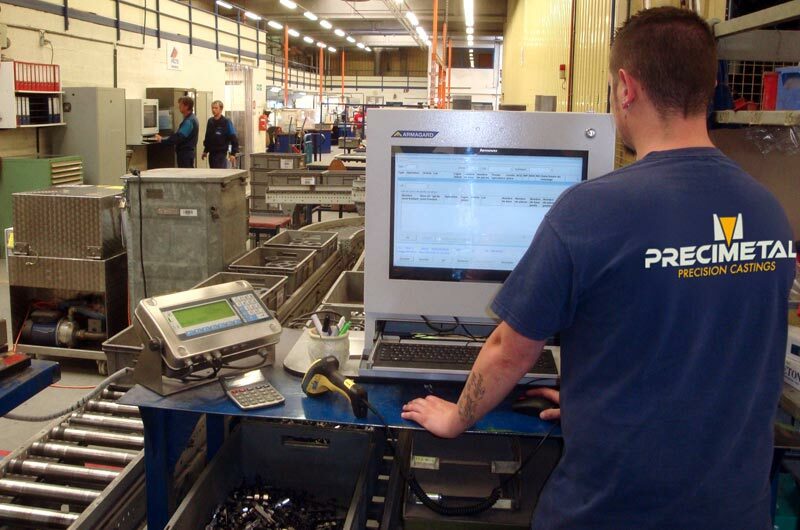 PRECIMETAL has set up and is continuing a proactive investment plan to provide customers with a modern industrial infrastructure, making sure that their parts are made within a perfect quality framework with a guarantee of maximum reproducibility and the best possible productivity/competitiveness. The equipment is maintained preventively, periodic safety checks are carried out and, where applicable, renovations and improvements are made, to provide an ever more efficient and reliable installed base of machines. Production of plans for equipment, inspection and machining. Model parts inspected at 100%, including x-ray. Launch under a “just in time” system. Automatic system for sequencing production according to procedures and operating times, deadlines and the overall workload. Physical movement of manufactures by robotised conveyors. Integration of subcontracted finishings into the manufacturing cycle. 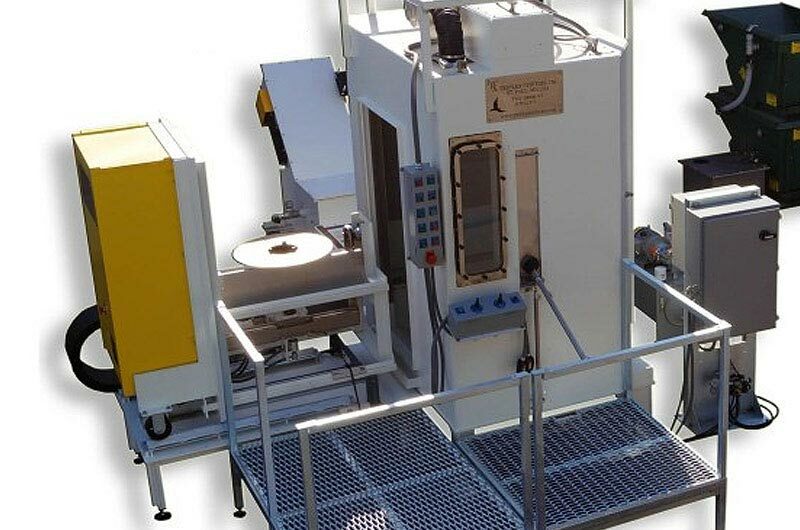 Programmable manual and automatic presses for wax models. Rapid change of tools (SMED). All techniques of coring for undercuts. 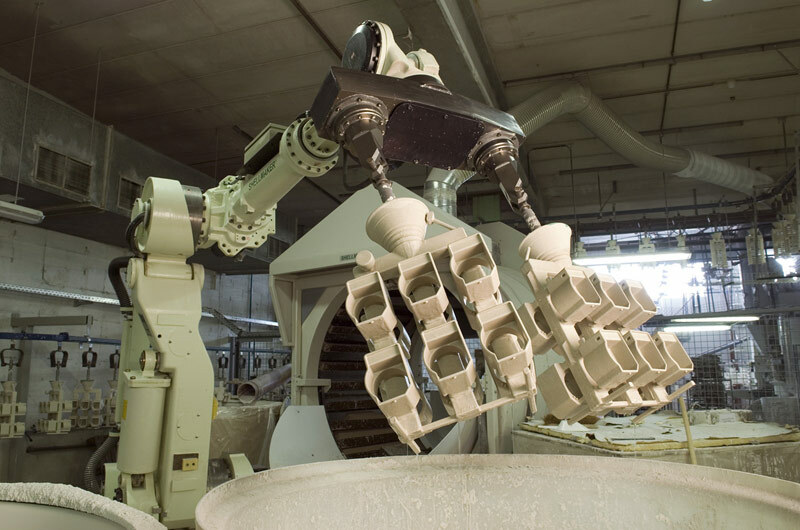 Automatic robots for soaking / coating. Automatic system for changing the programming cycle according to the part (flexible manufacturing), management of critical parts. High-quality refractory products with qualitative acceptance and traceability. Furnaces of 150, 120 and 60 kg, inversion furnace of 25 kg. Composition of the metal controlled by emission spectrometer. Shot blasting equipment with differentiated programming. Chemical dissolution by salt bath at 600°C. Manual or automatic sandblasting, individually or by batch. Cutting and elimination of the ingate; automatic or manual equipment. Simple or complex thermal treatment, in place or subcontracted. Definitive shaping to the imposed dimensions by manual calibration or by press, hot or cold, 100% automatically controlled. Inspections carried out according to the wishes of customers. Tri-dimensional CNC machine with scanner function and camera. Profile projector with associated computer program. Hardness, metallographic microscope (X 800), roughness meter. Fluorescent dye-penetrant testing (sensitivity S2). All of the static and dynamic mechanical tests, as well as the specific tests (leak tightness,…) are carried out by independent specialist laboratories qualified by the official Belgian bodies (BELCERT). “Lost wax” precision casting is an ancient technique invented more than 3000 years ago in Mesopotamia, which was applied only to jewellery, dental prostheses, artistic items, etc. It arose at an industrial level after the Second World War thanks to the boom in armaments, transport machinery and aerospace. The development of refractory materials and the increasingly widespread use of expensive alloys (based on nickel) and/or those that are difficult to machine, saw the expansion of the lost-wax technique in the industrial world. As it can produce parts of complex shapes and astonishingly-precise dimensions, this type of casting adapts well to these new requirements. Since then, it has continued to progress and develop in numerous sectors of activity. The principle consists of using metal injection moulds to produce an exact replica (known as the model) of the final part, made of a material that can be melted (wax). Each injected model will ultimately provide a metal part. So if the requirement is for 500 parts, 500 wax models must be injected. These models are then glued onto bars, also made of wax, which constitute assemblies known as clusters. These clusters are then coated with layers of ceramic by specific soaking operations in baths of ceramics and are sprinkled with refractory sand. About 6 to 10 layers are thus built up, which forms a shell of 5 to 10 mm thick, which completely coats all of the parts in the wax cluster. After a period of drying, this cluster is then heated, which melts the wax, providing a hollow ceramic mould into which the molten metal will then be poured. This refractory mould is then placed in a furnace at about 1000°C for 1 to 2 hours, which both fires the mould, eliminates any wax residue and heats the mould to help the flow of molten metal. At the same time, the metal is melted in induction furnaces, between 1500°C and 1600°C for alloys of iron, cobalt or nickel. 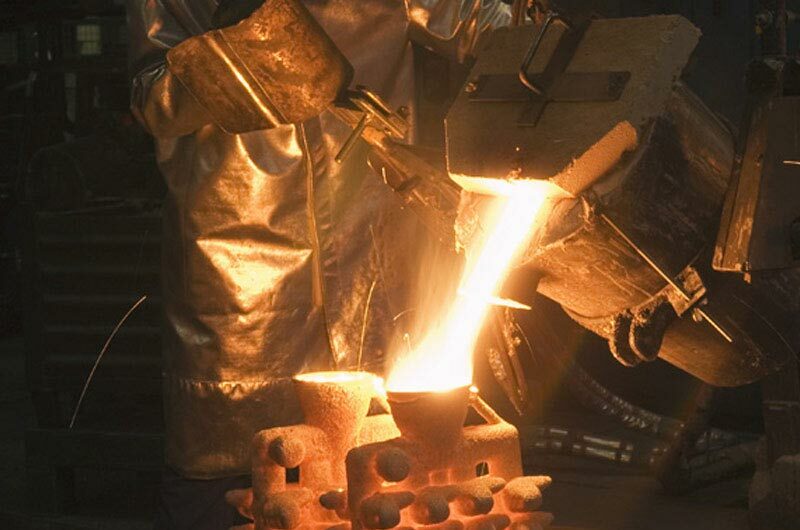 When the mould reaches the right temperature and the molten metal is ready, it is poured into the cluster by gravity and it is then left to cool. The shell is then eliminated by mechanical or chemical action, and the parts are detached from the cluster by cutting. They are then finished by operations involving grinding, sandblasting, thermal treatment,… as well as visual, dimensional and non-destructive checks (x-ray, dye-penetrant testing). 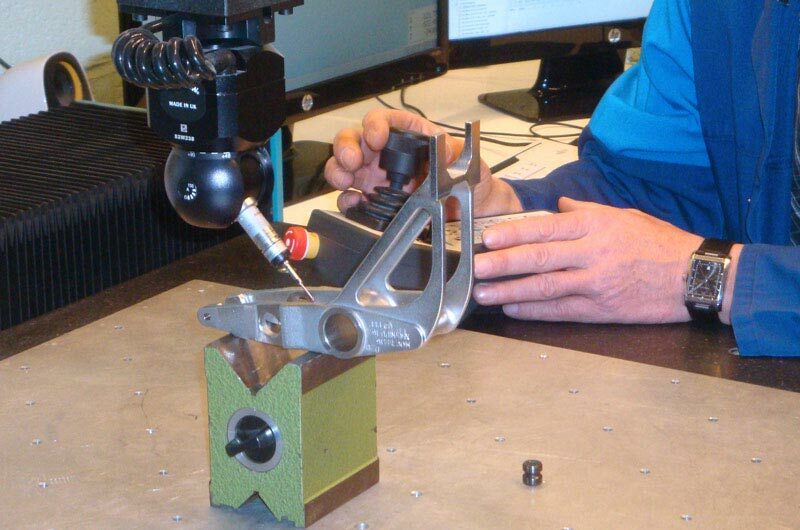 This technique is mainly used for producing parts of complex shapes, requiring an excellent surface condition and very accurate dimensional precision. It is often an attractive alternative to the technique of machining from a single piece or assembly by welding and is sometimes necessary for parts having internal cavities, thin walls, recesses and reliefs, reinforcements, etc. It is particularly effective for making steel parts from 1 g to more than 50 kg. All grades of steel and alloys of copper, nickel and cobalt can be cast using this technique. Parts made of titanium or super alloys can also be made using this technique, but with the use of special techniques of casting under vacuum or centrifuges. The material and shape of the part can be determined freely according to its use. The restrictions related to the other techniques disappear: undercuts, recesses inaccessible by a conventional tool, complex shapes in three planes,… can be produced in precision casting through the use of various techniques of coring. Excellent surface condition (better than Ra 6.3). Clean and consistent sand-blasted or shot-blasted appearance. Mechanical or chemical polishing facilitated. Increased yield in the field of fluid transport. Surfaces directly functional in hydraulic and pneumatic applications. Compliance with agri-food hygiene standards. Precise tolerances (+/- 0.7% of functional dimensions). 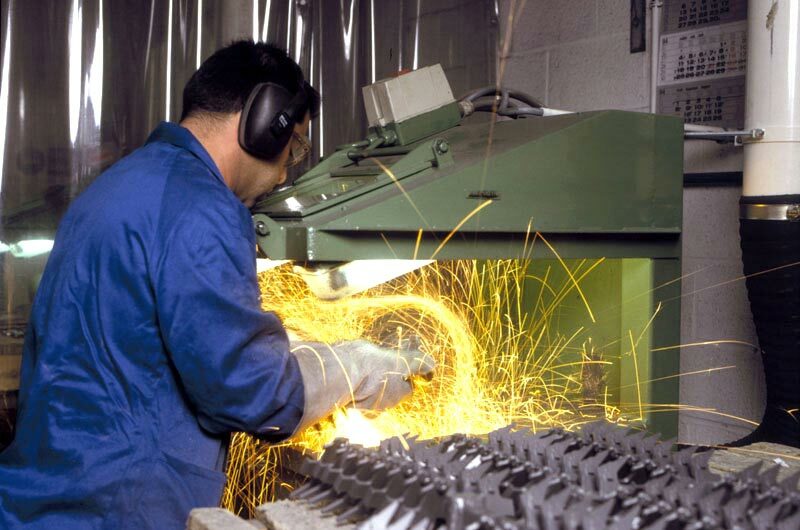 The absence of swarf reduces the cost of parts made of expensive alloys. Use of materials that are difficult to machine. Parts that are normally composed of several elements can be cast as a single part. Welds and shaping by drop-forging are sources of breakages and costs (for grinding weld beads, for example) that can be avoided by designing a subassembly directly as a single cast part. The only restriction for PRECIMETAL is that the volume of the part must be within a cube of 500 mm dimensions. The reliefs, recesses and reinforcements enable substantial reductions in weight, while ensuring the rigidity of the part. The walls can be reduced to less than a millimetre in thickness locally. 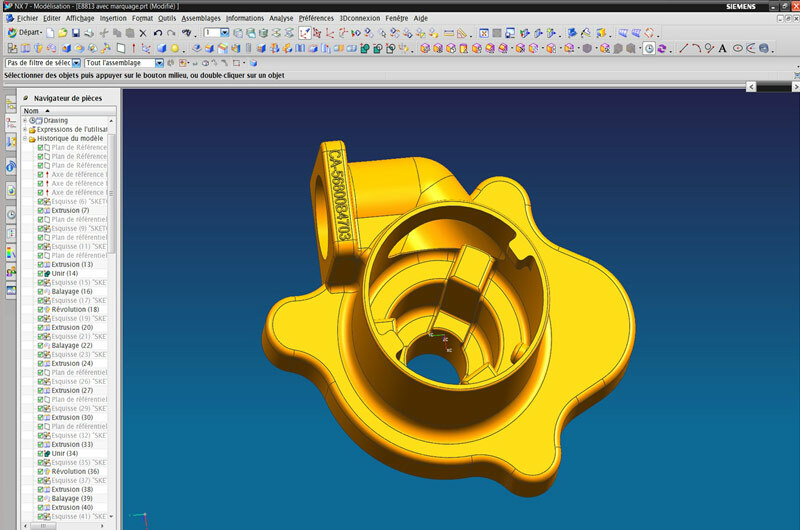 The method is particularly appropriate for components with a high surface area over volume ratio. Around a hundred alloys in stock and experience in more than 200 grades of steel, stainless steel and alloys of cobalt, nickel and copper. The parts obtained using this technique have an isotropic structure, meaning that the mechanical characteristics, notably resistance to tension and ductility, have the same value in all directions, in contrast to forged or rolled parts, for which the structure of the metal is modified by the shaping technique and is not always compatible with the strength requirements of the user. 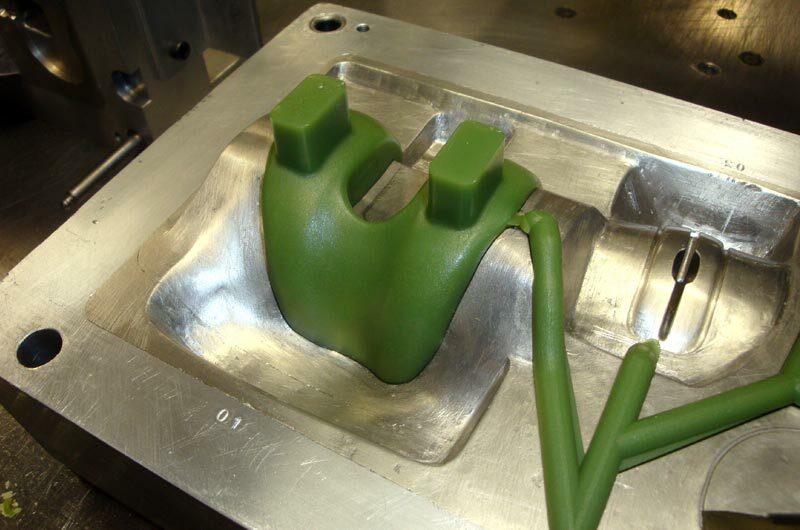 The tooling – or injection mould – may be designed according to various techniques which will influence its production cost and obviously its longevity. The technique is already competitive from small series thanks to a low-cost injection mould. By making a greater investment, it is possible to design stronger tooling, multi-impression or automated: large series will therefore be produced at a constant quality at lower unit cost.